Ray Sappington was first elected to the Valley View ISD Board of Trustees in 2005 and re-elected in 2017. He has completed the statewide training program, Leadership TASB, sponsored by the Texas Association of School Boards as well as other Board training programs over the years. Mr. Sappington is married to Amy Sappington: they have two daughters, Erika and Marlowe Sappington. Erika graduated from VVISD in 2013 and Marlowe is currently a senior at Valley View. Mr. Sappington is a 1985 graduate of Valley View. Mr. Sappington has been employed with the Texas Department of Public Safety for over 25 years and currently supervises DPS personnel from Gainesville to Paris. Mr. Sappington also serves Vice-President on the Mountain Springs Water Supply Board of Directors. He has previously served as President of the Valley View Booster Club. Corinne French was first appointed to the Board of Trustees in 2012, elected in 2013, and ran unopposed in 2016. She currently serves as the Board Vice-President. 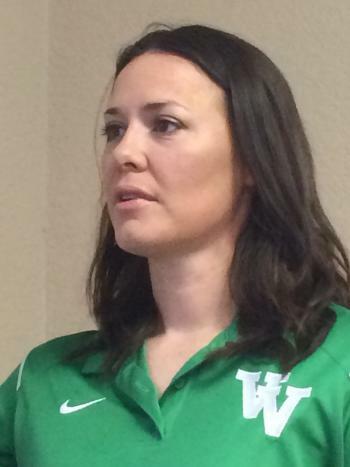 Ms. French is the mother of six children, two of which have graduated, and 4 currently attending VVISD Schools. Ms. French received a Bachelor of Science in Family Studies from Texas Woman’s University and a Masters Degree in Higher Education (2016) from the University of North Texas. She works at the University of North Texas with high school seniors as they transition to the University. Ms. French is a 2015 Leadership TASB graduate and currently serves as a member of the Legislative Advisory Council. Clint Grant was first appointed to the Board of Trustees at the May, 2007 school board meeting. He ran unopposed in 2016. He has two children attending VVISD. Mr. Grant moved to Valley View in 2001 with his wife Monica Mendez-Grant and their two children and reside in Mountain Springs. Mr. Grant received a Bachelors degree from Embry-Riddle Aeronautical University, and an MBA from the University of North Texas. He is the Department Chair of the Aeronautical Technology Department at Tarrant County College. Mr. Grant is a coach and commissioner for the Dixie Youth Baseball League in Valley View. David has lived in Valley View since 1996. He was first elected to the Board in 2009 and ran unopposed in 2017. He is in his third decade of employement at Peterbilt Motors where he serves as the senior PQI auditor of quality assurance. David is married to Andrea Pembroke, the student services coordinator at Valley View High School. Together they have four children all of whom are graduates of Valley View High School: Ashleigh (Class of 2005), Brandi (Class fo 2007), Dylan (Class of 2011), and Brooke (Class of 2012). 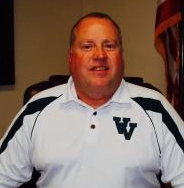 In addition to his service on the Board of Trustees, David previously served for 12 years as a member of the Valley View Athletic Booster Club and was president of that organization for three of those years. 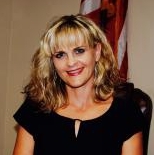 Kristen Tarrant ran unopposed in 2016. Dabney Swaidner was first appointed to the Board of Trustees at the June 2017 board meeting. She is a decorated combat Veteran having served as an Apache Pilot in the United States Army during OIF. She graduated from Valley View High School in 2000, earned her undergrad from the United States Military Academy at West Point, NY in 2004 with a degree in Economics and later earned her MBA from Arizona State University in 2012. She and her husband run a ranching operation in Valley View and actively support academic, athletic and agricultural programs in the community. (Austin) — The Texas Association of School Boards (TASB) has elected Corinne French of Valley View ISD-Cooke County to a three-year term on the TASB Board of Directors, representing TASB Region 11, position D.
French was appointed to the Valley View ISD-Cooke County Board in 2012, elected in 2013, and ran unopposed in 2016. She currently serves as the board vice-president. She is a 2015 Leadership TASB graduate and has served as a member of the TASB Legislative Advisory Council. French received a bachelor of science degree in family sciences from Texas Woman’s University and a master’s in higher education from the University of North Texas (UNT). She works at UNT, coordinating district involvement with the Eagle Advantage program. She plans on-campus transition programs for high school juniors and seniors and facilitates college transition workshops in local high schools. She serves as the advisor for the student organization Her Campus UNT. French also serves on the NTRP-16 Council and the executive board of the North Texas Area Association of School Boards. What Does your School Board do? 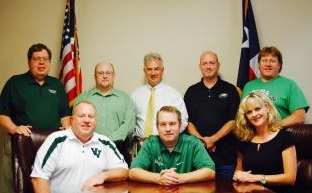 The Board of Trustees is a policy making body of persons, elected by the citizens of a school district. The policies which it establishes are executed by the administration of the schools. Board members have no authority except when functioning as a member of the board in an official meeting. Candidates run for specific places but do not represent certain geographical areas. Following the annual election, the Board elects a president, a vice-president and a secretary to serve one-year terms. Every meeting of the Board shall be open to the public. The Board may, however, adjourn to an executive session to discuss personnel matters or land acquisitions, to obtain certain legal counsel and discuss litigation or to discuss cases involving discipline of a student enrolled in public school. When and where does the Board meet? Regular Board meetings are scheduled for the first Monday after the 15th of each month at 7 p.m. in the District Administration Building, 106 Newton Street, Valley View, Texas. The Board reserves the right to change Board meetings to other days and times whenever it becomes necessary. What is the procedure for addressing the Board? A 30-minute general open forum will be held at the beginning of each regular Board meeting to allow for public input on any topic. Patrons wishing to address the Board should sign-in on the designated sheet. • if applicable, the organization you represent. All remarks should be addressed to the Board as a whole; Board members will listen but not respond to remarks made during open forums. Please limit your comments to three minutes. Delegations of more than five persons should appoint one person to represent the group’s views. Discussions of personnel or comments regarding District employees are not appropriate during Board meetings. If you have additional questions, contact the Valley View ISD Superintendent at 940-726-3659.